$400 – $650 Instant Savings. Expires Jun 6, 2019. * All prices reflect savings. Get ready to check off three of Africa’s most awe-inspiring bucket list icons on our new, fully guided small group tour: Highlights of Southern Africa. Start your trip in Cape Town, the jewel of South Africa and dive deep into this incredible country’s storied history and vibrant culture. Then, take a quick flight to Zimbabwe where you’ll spend two days learning why Victoria Falls is known as the “Smoke that Thunders”! Explore this UNESCO World Heritage Site, and largest curtain of falling water in the world, then sit back and enjoy a sunset cruise along the Zambezi River. Round out your trip with two days in Chobe National Park, Botswana as your expert guide takes you deep into some of the world’s best game viewing territory in search of lions, hippos, giraffes, buffalo, cheetah and more! 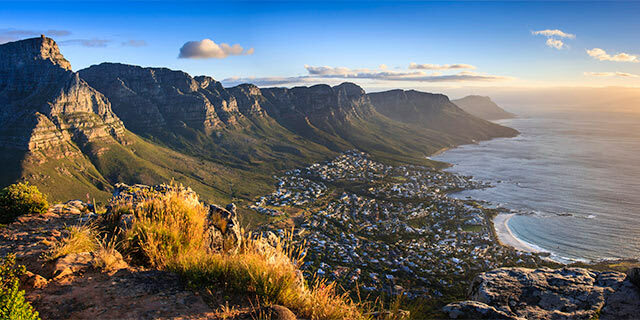 From the glowing sunsets and sunrises, stunning natural wonders, and rich biodiversity to the spectacular food, fascinating people, and exciting history, our expertly-crafted itinerary combines fully-guided tours with plenty of free time to explore what you love or join one of our optional excursions like a day in the Cape Winelands or experiencing the culture of the Bo-Kaap (formerly known as the Malay Quarter). We’ve worked with our partners in Africa to offer this innovative itinerary at an absolutely irresistible price that we’re sure will sell fast! So if you haven’t experienced the incredible wonders that await you in Southern Africa, this is the trip you’ve been looking for. So what are you waiting for? Instant Savings: Get $400 – $650 off if you book by Jun. 6, 2019! 1. Zimbabwe visa fee is paid locally for US passport holders: $60 for multiple-entry. 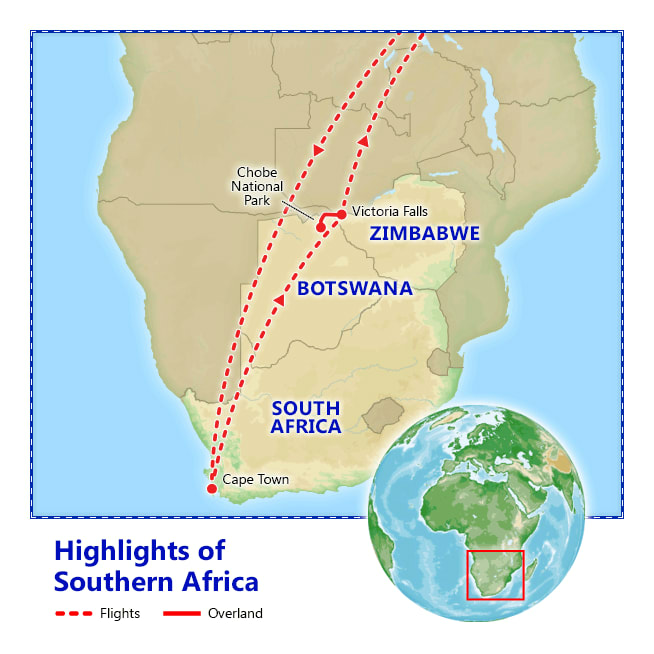 Your exciting journey to Southern Africa begins this evening as you check in for your overnight flight. Accommodations: 4 nights Radisson RED Hotel, Cape Town. Full Day Itinerary: Sawubona (welcome)! Arrive today in Cape Town, a beautiful jewel nestled between stunning Table Mountain and a dramatic coastline. This modern, bustling and vibrant city boasts gorgeous scenery, fabulous restaurants, hotels and beaches, and is bursting with history and culture. Upon arrival at Cape Town's airport, you will be met and transferred to your centrally located hotel. Enjoy the remainder of the day at leisure. Full Day Itinerary: In the morning, begin your full day panoramic city tour of Cape Town, showcasing the scenic and historic highlights of this vibrant city. Weather permitting, ascend by cable car to the top of Table Mountain, Cape Town's most striking landmark. Drive by the country's oldest building, the Castle of Good Hope, an imposing 17th century Dutch fort set against the dramatic backdrop of Table Mountain. Later, drive past secluded coves, beautiful beach towns and spectacular mountain scenery. Stop at famous Chapman's Peak. Enter the nature reserve that covers the southern part of the Peninsula, and drive through the unique scenery towards Cape Point. Travel by funicular railway to Cape Point where you can take in stunning views of the Cape of Good Hope. Later, make a brief stop to visit the African jackass penguins at Boulders Beach. Optional Excursion: Cape Winelands tour, 1270 ZAR (purchased locally). This morning, head to the premier wine producing regions of Paarl, Franschhoek and Stellenbosch through the heart of the Cape Winelands. Visit the town of Franschhoek, passing the impressive Huguenot Monument. Experience breathtaking views from the historical Taal Monument in Paarl, one of the Cape's first farming districts. Stellenbosch is world-renowned for making some of South Africa’s premier wines. Enjoy a tour of this historic town with its well preserved architecture, pop into some of the local stores and markets, and enjoy some of the fine wines as you enter a renowned wine estate. Optional Excursion: Bo-Kaap Melting Pot Tour & Cooking Class, $145 per person. This morning, join a Bo-Kaap "Melting Pot" tour to discover the rich heritage, culture and cuisine of the Cape Malay people. We visit the Bo-Kaap Museum, the oldest Mosque in South Africa, pass the oldest house, the first farmhouse and take a walk past the famous colorful houses. Next you will step into an aromatic spice shop to learn about the origins of the spices. Visit a Cape Malay home and learn how to cook an authentic pot of curry, fold a spicy samosa and knead, spin and roll a perfectly flaky roti. As a finale to your cooking lesson, enjoy tasting your delicacies together with your host. Note: The sequence of visits may be reversed. This optional tour must be pre-purchased. Accommodations: 2 nights at the Elephant Hills Resort or similar (May 11 2019 departure will stay at the A'Zambezi River Lodge). Included meals: Breakfast. Full Day Itinerary: Transfer to the airport for your flight to Victoria Falls, Zimbabwe. Upon arrival and after customs formalities, you will be greeted by your local guide. Check into your lodge and enjoy the rest of the day at leisure. Full Day Itinerary: This morning enjoy a guided tour of the falls. You'll soon discover why this UNESCO World Heritage Site is considered one of the greatest natural wonders—and the largest curtain of falling water in the world! Located at the border of Zimbabwe and Zambia, Victoria Falls consists of numerous falls separated by islands in the river below. The Zambezi River spills more than 2 million gallons of water per second over the Bakota Gorge, creating multiple rainbows and resulting in an awe-inspiring display of raw power unrivaled by other natural wonders. The tremendous roar of the water and the ever-present cloud of spray give the falls their local moniker, "Smoke that Thunders." Later today, you'll have the opportunity to witness a breathtaking sunset while enjoying a cruise along the Zambezi River. Be on the look-out for hippos, monkeys, elephants, and crocodiles that frequent the waters and the surrounding areas. 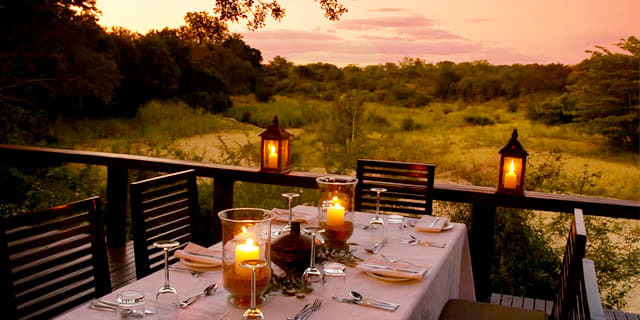 Accommodations: 2 nights at the Cresta Mowana Safari Resort & Spa Included meals: Breakfast, lunch & dinner. 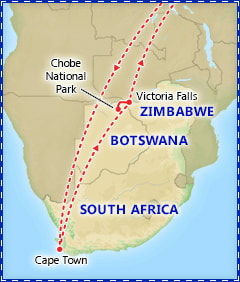 Full Day Itinerary: After breakfast, depart Zimbabwe and cross the border into Botswana. Check into your lodge, located on the banks of the mighty Chobe River. The river provides sustenance for many animals often come down to the river to replenish themselves. Enjoy a sunset river boat safari that graciously explores the Chobe River and introduces guests to the various animals and bird species that frequent it. Full Day Itinerary: After an early wake-up call, head out for your first game drive in Chobe National Park. 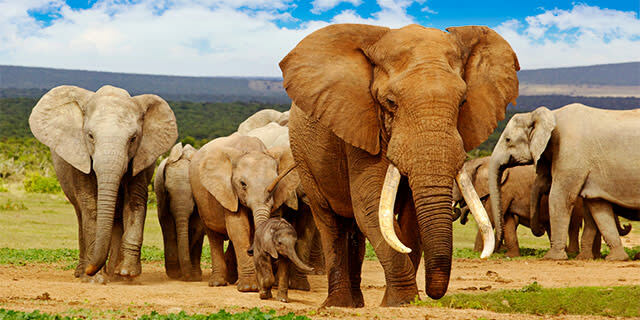 With over 75 species of mammals in the area surrounding your lodge, including the abundance of elephants in the adjacent Chobe National Park, today is a safari-lover's dream. The park has some of the largest concentrations of game on the African continent, including giraffe, buffalo, lion, leopard, cheetah and bushbuck. Return to the lodge to rest and enjoy lunch. This afternoon, head out on another boat safari for another chance to spot more wildlife and witness the beauty of the African sky as the sun sets. Your amazing adventures come to an end as you arrive in USA this morning. 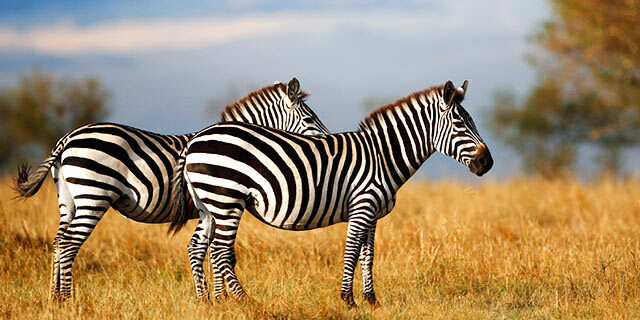 Cresta Mowana Safari Resort & Spa is situated on the banks of the Chobe River in Botswana. It is one of southern Africa’s sustainable tourism destinations where luxury exists in harmony with nature, providing a unique location from which to explore the magical wonders of untamed Africa. Elephant Hills Resort is situated on a small hill overlooking the Zambezi River, 2.5 miles upstream from the Victoria Falls in Zimbabwe. In this prime wilderness location, you can relax in total comfort and luxury while still experiencing the African wildlife. Proposing a unique lifestyle experience within Silo district, the Radisson RED Hotel V&A Waterfront Cape Town is the first of its kind, focusing on art, fashion and music to connect people. The hotel features a rooftop sun terrace and views of the sea. Free high-speed Wi-Fi is available throughout the property.